The intelligence community comprises 17 agencies spread across the government, and while their missions and areas of focus vary, there’s a common thread: national security. In an era of rapidly evolving threats, mass quantities of data and an ever-growing need to share information, the ability to seamlessly exchange intelligence has never been more critical. That’s the goal of the Intelligence Community Information Technology Enterprise, or IC ITE, which continues to evolve six years after its launch. 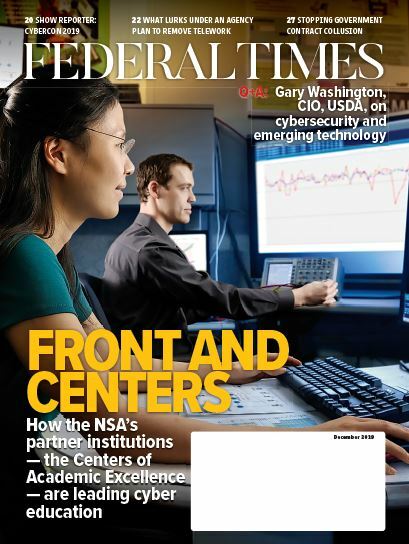 Intelligence Community CIO John Sherman recently updated Federal Times editor Amber Corrin on IC ITE’s progress, IC cloud efforts and how things are changing at the Office of the Director of National Intelligence. You’ve been in place as IC CIO for a year now. What progress have you made? I think one of the biggest things has been the re-vector of the common desktop environment [shared across the intelligence community]. That was a tough decision and I think that took the first four or so months of my tenure, working with our interagency partners. That's one of the hardest organizational things you could do sometimes, when you’ve gotten down the road on something and say, “No, we need to turn the ship and go a different way,” and go at it with a federated approach and with reference architectures as the guiding principle. I think that was a major accomplishment to turn the battleship and get us on a new [trajectory]. I think as a corollary to that — not only for collaboration, which the desktop was meant to do — but also identity management data reference architectures. I’ve reorganized [the office of] IC CIO. We stood up a new division called the Architecture and Integration Division. We brought a Ph.D. over from [the National Geospatial-Intelligence Agency] who’s a systems engineer and now working across the chief architects in the different agencies. We’ve gotten feedback just in the past few weeks of how excited the architects are to be working in this sort of forum. A third area is the close partnership we have with the CIOs across the interagency within the IC. Within the agencies, this band of brothers and sisters, I have to say is one of the proudest things I’ve been a part of here. It’s the teaming among these CIOs and deputies CIOs and really spanning that out. The chief data officers are part of our kind of extended family. The chief information security officers are part of that. I’m also pretty proud of how we've emphasized cybersecurity. Cybersecurity has always been a major focus area. With the support of [Principle Deputy Director of National Intelligence] Sue Gordon, [we’re having] some really tough discussions at the senior-most levels and taking lessons learned that [the National Security Agency’s] gone through post-Snowden. We’re putting the emphasis that we need to on the really critical work of knowing your network, knowing what's on there, patching — not making that optional. We’re dedicating the resources and horsepower we need to get that done. 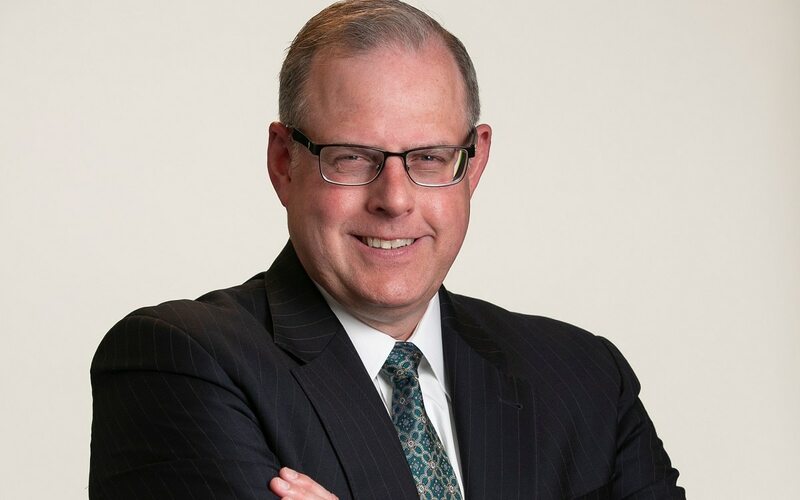 John Sherman, CIO for Office of the Director of National Intelligence, talks about the Intelligence Community's Information Technology Enterprise, or ICITE (pronounced "eyesight"). What are some of the challenges you’re facing as you enter what you’ve called the “second epoch” of IC ITE? This is the biggest job I’ve ever had in terms of scope and responsibility. Bringing along 17 agencies in this coalition of very heavy-hitting agencies, military services [and] folks at the departmental level to do a common goal — it’s both a challenge and one of the most invigorating things I’ve had a chance to do. But to keep us all growing in the same direction and not having miscues — not by malice or angst or anything, but just because it’s hard to keep a team running down the field in the same direction like this — that is a challenge. There are implementation challenges, taking things from the vision and idea perspective of, “We’re going to leverage this new technology or this new managed service,” and then getting it from a procurement to actual implementation. I come from really kind of a mission side of the house — analyst, collector, making sure that it works for those women and men who are the tip of the spear, whether they’re an imagery analyst or a CIA case officer. This has all got to work for them. So sometimes not drinking our own Kool-Aid, but making sure we get honest-to-god feedback on how the capabilities are working and then making adjustments as necessary [is important]. You’re a big proponent of incorporating more from the unclassified side of things, which is a big change in the highly classified world of intelligence. Can you talk more about that? My job before this was deputy of the Open Source Enterprise at the CIA, and I see the power of publicly available information, open source intelligence, or OSINT. I want to rationalize that part of the [security] fabric, too. I want to look at other shared services, as well of what we’re going to do with our legacy infrastructure. Where can we do that more efficiently? So that's the fun part of the job: really looking where we’re going to take things. What is the next thing we’re going to bring on board here? That’s kind of a phase we’re in right now. How much pushback are you getting on that? It’s a significant shift. I’ve got to tell you, the paradigm is shifting on this significantly. I was really impressed by [recent] comments from [Gen. Raymond Thomas, chief of Special Operations Command]. He’s pushing his folks in [the Joint Intelligence Operations Center] to use 80 percent publicly available information and then 20 percent of the more exquisite, classified stuff. I’ve heard that same ratio over the last few years among other all-source analysts at different agencies, that there’s such a wealth of information that’s publicly available. You just have to use certain trade craft and tools and technologies to get to it. There's a lot of insight that can be provided to policymakers and war fighters. A lot of the data, we want to make it available to all the security fibers, but we don't need to ship it up to the [top-secret side] all the time. Maybe it's okay for a special forces team to have data on the unclassified side to share for partner training, or for first-responders or law enforcement. Cloud is a really hot topic right now, and we saw the IC take a lead on that — specifically, the CIA procuring an Amazon Web Services cloud solution with the C2S contract in 2013. Now we see the IC looking at different solutions. What’s happening there? We’ve always been in a hybrid cloud situation in the IC. Also, we’re moving to managed services … with Office 365, which rides on Microsoft Azure. That kind of got a little sideways in the media, like we procured a new cloud on Azure. Well, no. We are procuring a Microsoft service. A managed service. So we’re leveraging cloud technology in that way, but our main elastic compute cloud is with C2S, which AWS provides. Then [we have] the IC GovCloud [which hosts collected and analyzed mission data and acts as “a big data super jet engine”]; we’ve always been hybrid on that. And we’ve gotten better with this: understanding which workloads go into which cloud, and so on. So that’s always been our approach, and we’re going to continue to leverage managed services. We’re going to continue to expand the aperture on this while at the same time we have these twin pillars of IC GovCloud and C2S right now that we are relying heavily on.